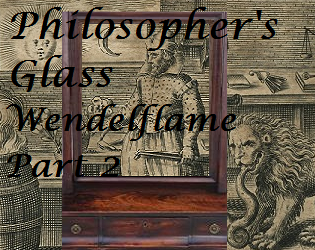 Philosopher's Glass, Part 2 of Wendelflame, is ready to play on itch.io! In this part Wendell learns magic and fights a magicians' duel. Can an elephant defeat a unicorn, or is it the other way round? Find out when you play Philosopher's Glass.